According to a report released Thursday by the Inspector General for the Department of Health and Human Services, thousands more immigrant children may have been separated from their parents under the Trump Administration than previously thought. It is not known at this time how many of those children have been reunited with their families. The report cites a “steep increase” in immigrant family separations beginning the summer of 2017, a year prior to the institution of the administration’s “zero tolerance” policy. Under the zero tolerance policy, children traveling with adults referred for prosecution must be turned over to the U.S. Health and Human Services Department. That agency is then responsible for placing the child with a sponsor as the child’s immigration case is resolved. Trump ended the policy with an executive order on June 20, 2018. 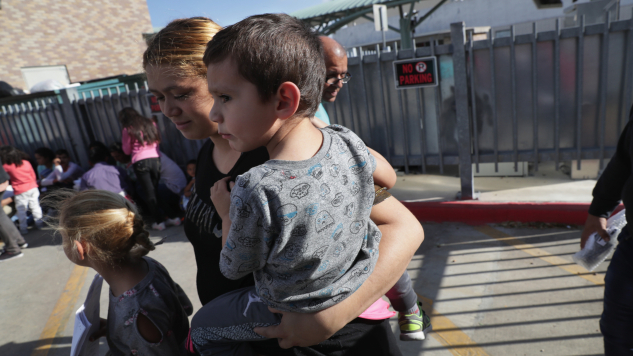 Findings from the report suggest that tough immigration policies implemented early in Trump’s term contributed to family separations. The report also revealed that poor communication among federal agencies and informal tracking systems made it difficult to determine whether the children ended up with their parents, a sponsor or in foster care. Lynn Johnson, the assistant secretary for children and families at the Department of Health and Human Services, said in a response letter that the agency remains committed to improving communication and transparency efforts.